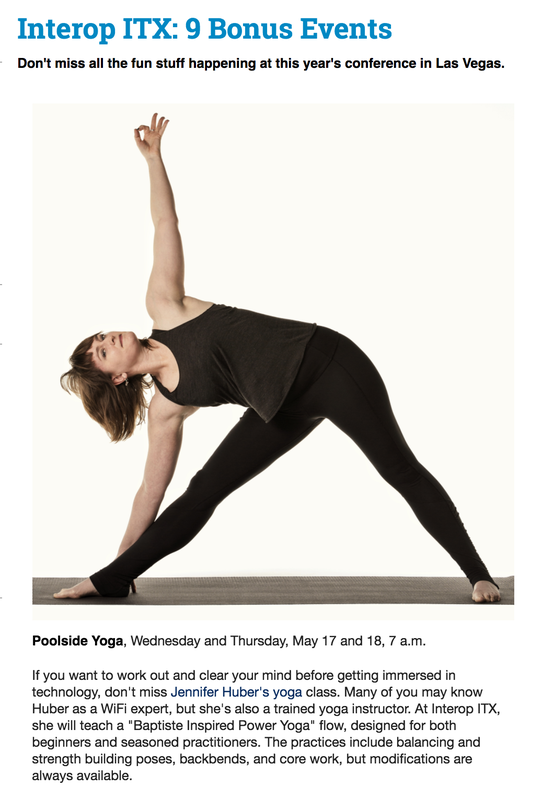 I am super excited to announce that I'll be leading two morning yoga classes at this year's Interop conference as part of the bonus events schedule. Interop ITX is being held this year at the MGM Grand in Las Vegas May 15 - 17th. Morning yoga will be held poolside Wednesday and Thursday morning 7am - 8am! 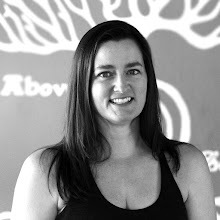 "If you want to work out and clear your mind before getting immersed in technology, don't miss Jennifer Huber's yoga class. Many of you may know Huber as a WiFi expert, but she's also a trained yoga instructor. At Interop ITX, she will teach a "Baptiste Inspired Power Yoga" flow, designed for both beginners and seasoned practitioners. The practices include balancing and strength building poses, backbends and core work, but modifications are always available." It is incredibly exciting to combine (for the first time ever) the opportunity for public speaking on a technical topic and public speaking by leading a group of yogis at an IT conference I'm attending!